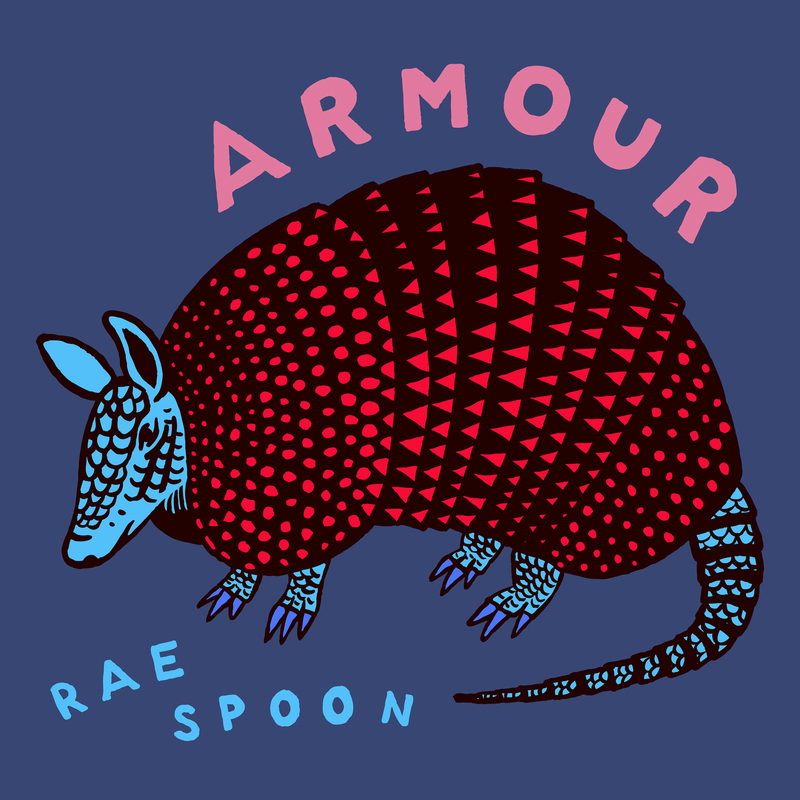 Rae Spoon has been called one of Canada’s best songwriters and their new album Armour does not disappoint. The ten new songs hold all of the lyrical depth indicative of Spoon’s compositions while showcasing their distinctive voice. Armour’s self-produced enigmatic soundscapes blur the lines between organic and electronic instruments. Analogue synthesizers, electronic drum programming, drum kits, percussion, electric bass, cello and guitar carry the album through pop refrains and danceable beats. Released by Coax Records, the album is the result of collaboration with Calgary’s Lorrie Matheson at Arch Audio Studios and features electronic arrangements by Berlin’s Alexandre Decoupigny. Armour, Spoon’s eighth solo album, is the highly anticipated follow-up to Polaris Prize– nominated My Prairie Home, a musical about Spoon’s fraught childhood in Alberta. As much as My Prairie Home was about Spoon’s upbringing as a queer youth in a Pentecostal household, Armour is about their view of the future. Moments of reckoning with trauma and self-preservation mingle with messages of hope and survival. Armour explores the idea that there is no instruction manual for healthy adulthood, asserting that the attempt to construct meaning is itself the point of life. Armour is a tribute to the intimate space where both hope and despair have space to share the same voice. Pre-sales for CDs are live and you will receive your album order immediately when Armour is released on February 19, 2016.